To work top dressing into a sport surface and remove dew off the grass plant. A hand operated drag mat made of steel squares with a draw rope. Any time of the year. The working in of top dressing is best done in dry conditions. Hand operated steel mat with draw ropes. 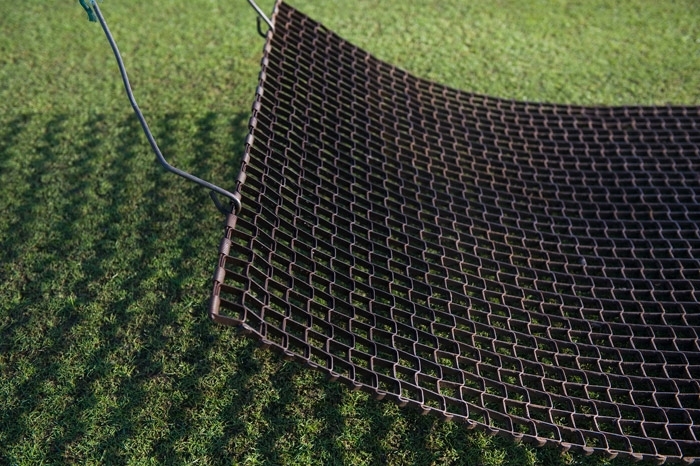 A drag mat will follow existing contours on a surface so will not level it. For top dressing, a straight edge is needed for levelling.